We’d love your help. Let us know what’s wrong with this preview of Sunny 6 by Taiyo Matsumoto. To ask other readers questions about Sunny 6, please sign up. Taiyo Matsumoto's Sunny, despite sticking to a realist, quotidian mode, is every bit the epic that Black and White or GoGo Monster is. I would gladly spend more time with all of these characters, even after closing this elegant final volume. There are few books I love more than this series. Will try to find the words to explain why. Beautiful water color illustrations, an emotionally fraught storyline, the everyday struggles of the kids living at Star Kids home, all come together to make this one of the best series I've read. This would be another manga to own, to discuss with others. Scenes that could make you cry or laugh or wonder at the injustice of the world, or the beauty of it. It's also not a long series, this one, Volume Six, is the last of the series and although, like life, the ending could be another beginning, I Beautiful water color illustrations, an emotionally fraught storyline, the everyday struggles of the kids living at Star Kids home, all come together to make this one of the best series I've read. This would be another manga to own, to discuss with others. Scenes that could make you cry or laugh or wonder at the injustice of the world, or the beauty of it. It's also not a long series, this one, Volume Six, is the last of the series and although, like life, the ending could be another beginning, I was happy with the journey was able to take with these characters. This series was simply perfect. It reminded me of the quiet, simple moments of Studio Ghibli films that resonate with emotion. Beautiful ending to an elegant story. Bella conclusione di una bella serie. This is a great manga series. Very raw, emotional, and beautiful. The art style is wonderful and the story is easy to follow. This is the kind of story that everyone should read. Dang. That was the last volume. I'm really going to miss this series. 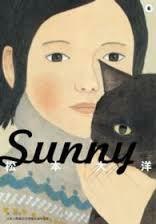 I love everything Taiyo Matsumoto does, but Sunny was special. I'm glad Viz went out on a limb to publish this title; I hope manga readers continue to give Viz's more niche titles a chance. One of the best comic series I have read start to finish. There isn't too much dissect because not a lot happens. The art is sort of Nate Powell meets some comics watercolor master I don't know about yet. I love this comic for its schoolyard stickiness, disappointing field trips, wasted allowance, windswept hair-age authenticity. Although Taiyo Matsumoto (松本大洋) desired a career as a professional soccerplayer at first, he eventually chose an artistic profession. He gained his first success through the Comic Open contest, held by the magazine Comic Morning, which allowed him to make his professional debut. He started out with 'Straight', a comic about basketball players. Sports remain his main influence in his next comic, 'Z Although Taiyo Matsumoto (松本大洋) desired a career as a professional soccerplayer at first, he eventually chose an artistic profession. He gained his first success through the Comic Open contest, held by the magazine Comic Morning, which allowed him to make his professional debut. He started out with 'Straight', a comic about basketball players. Sports remain his main influence in his next comic, 'Zéro', a story about a boxer. In 1993 Matsumoto started the 'Tekkonkinkurito' trilogy in Big Spirits magazine, which was even adapted to a theatre play. He continued his comics exploits with several short stories for the Comic Aré magazine, which are collected in the book 'Nihon no Kyodai'. Again for Big Spirits, Taiyo Matsumoto started the series 'Ping Pong' in 1996. 'Number Five' followed in 2001, published by Shogakukan.